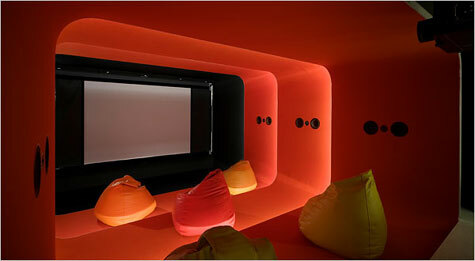 EVEN though home theaters are often dark, there is that moment when the movie stops, or is paused, and some light is needed. But what kind of light? If you are lucky enough to have a home theater, most of us would be happy with a projector, surround sound and perhaps a comfy sofa or two. Not so for these homeowners. The opulent home was designed by the entire team of his Santa Monica-based, 13-member Belzberg Architects that the now 43-year-old Hagy Belzberg founded in 1997. 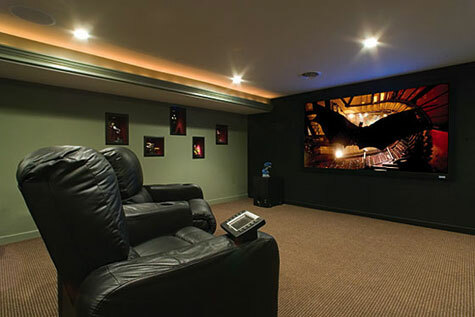 Batman may have a pretty cool basement, but can he watch movies in it? Pow! 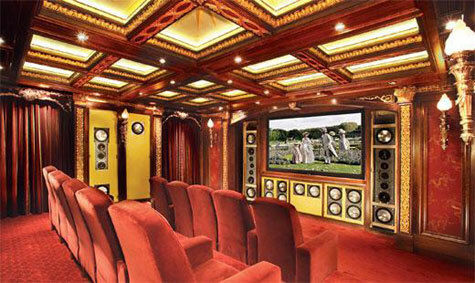 Let the Caped Crusader take the Batmobile to the drive-in; this homeowner is putting his basement to good tech use. Since the homeowner is a Batman fan, complete with an array of collectible figurines from the series, the installer suggested using his interest as a theme. The homeowner loved the idea. It’s hard to believe that this space had suffered some damage, due to previous flooding. However, the size and ability to control sound and ambient light made this fortress of solitude the perfect theater spot. 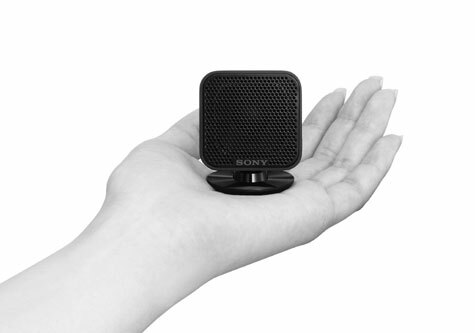 elivering big sound in a small package, Sony today introduced the DAV-IS10 micro home theater system. 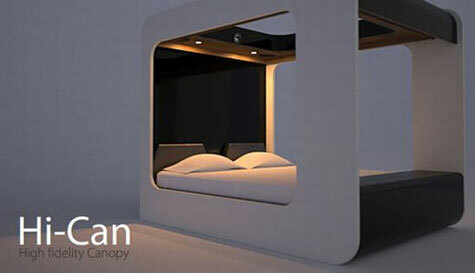 The 5.1 channel home-theater-in-a-box system features five tiny speakers – each about the size of a golf ball. 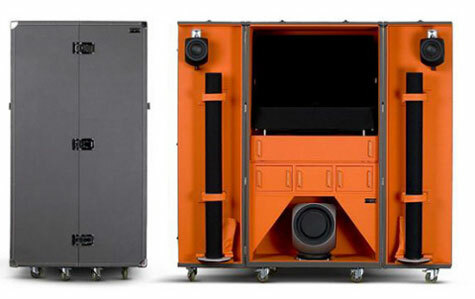 The system, matched with a compact, single disc DVD/CD player/receiver, includes a unique subwoofer that helps the tiny speakers create sounds typically reserved for full size speakers. While the system features small speakers, it packs all the power of conventional home theater-in-a-box systems with 450 watts of total system power (satellite speakers 50W x 5, plus 2-way subwoofer 100W x 2). The system is specially tuned to deliver a natural sound field that takes the focus off the subwoofer while supplementing mid range and lower frequencies. 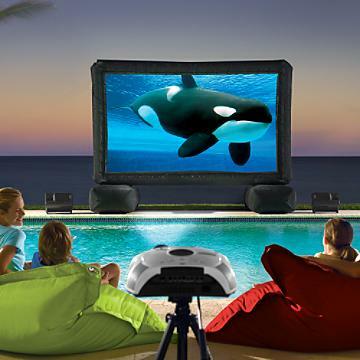 For outdoor fun, these Widescreen Outdoor Theaters can’t be beat. These high-quality outdoor screens are perfect for watching the latest blockbuster, playing games, and hosting birthday parties, movie screenings, and family reunions. This all-in-one audio/video system can’t be beat for quality entertainment: Just plug in, point at the wall and presto!